Authorities want to play "War on Pot"—with helicopters and militarized raids—while they still can. The full legalization of recreational use of marijuana in Massachusetts could very well become a reality—if current polling holds up—when voters go to the polls next month. Medical marijuana is already legal in the Bay State, provided you’ve got one of those officially sanctioned cards from the state government. But for the time being, personal cultivation of even a single marijuana plant without state permission is illegal, and Massachusetts state law enforcement put on a display of force last week to make sure nobody, not even an 81-year-old woman with glaucoma and arthritis, forgets it. According to the Daily Hampshire Gazette, on September 21, octogenarian grandma Margaret Holcomb found herself the subject of a joint raid by the National Guard and Massachusetts State Police. It started when her son Tim saw "a military-style helicopter circling the property, with two men crouching in an open door and holding a device that he suspects was a thermal imager to detect marijuana plants." A few minutes later, a number of law enforcement vehicles arrived and a state trooper demanded the "illegal contraband," warning that no charges would be filed if they gave up Ms. Holcomb’s single marijuana plant peacefully and without demanding a search warrant. Holcomb does not have a medical marijuana card, and told the Gazette if she is unable to procure one, she’ll likely grow another plant. The raid was one of at least six that took place on September 21, all without the knowledge or cooperation of local police authorities. Cutler said it’s likely that authorities are using budgeted funds, prior to the end of the federal fiscal year Saturday, to gas up helicopters and do flyovers. "We’re seeing the last throes of police hostility to the changing laws," Cutler said. "They’re taking the position that if it’s in plain view, it’s somehow illegal." One of the state’s leading proponents for the legalization of marijuana — who now faces possible criminal drug distribution charges for selling a cannabis-based oil — told a clerk magistrate Tuesday that he believed he was selling a legal product known as CBD, recognized across the country for its medical benefits. “I [believed it] then, and I still do now,” a defiant Bill Downing said under questioning during a hearing at Boston Municipal Court in Brighton. Boston police have sought to charge Downing, 57, with nine counts of distribution of a Class D drug, marijuana, or a Class C drug, THC, out of a store he operated in Allston, called CBD Please. Downing sold a liquid form of CBD by the gram to undercover Boston police officers on several occasions in late 2014 and early 2015. When Downing testified, he cited the manufacturer’s guide for the product he was selling, which reads, “100 percent legal in all 50 states.” His lawyers argued that police singled Downing out, even though other companies in Massachusetts have sold the same product. State chemists who tested the CBD sold by Downing to the undercover officers found traces of THC, the psychoactive element in marijuana, but chemists differed on whether to classify the product as a Class C or a Class D drug. Bill Downing’s lawyer says it’s retaliation for criticism of the state’s regulation of the medical marijuana industry. Clerk Magistrate Stephen Borelli will now decide whether police had probable cause to charge Downing, and whether the case should proceed in court. 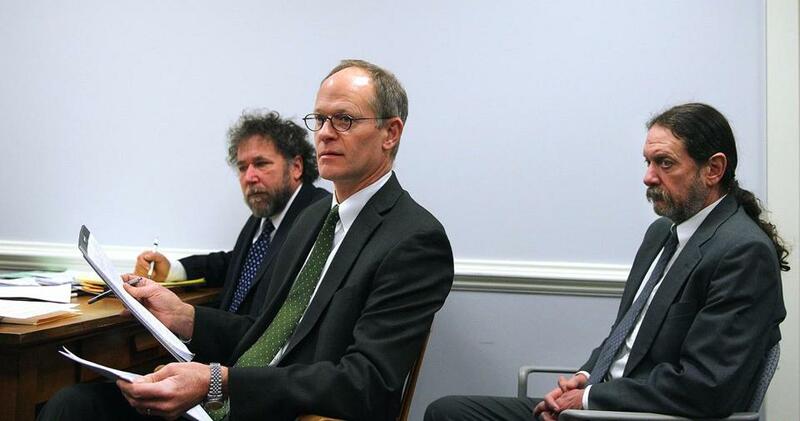 During a hearing Tuesday, Lawyers for Downing said Boston police targeted their client for his loud criticism of the state’s medical marijuana industry. Downing formerly operated the Reading-based Yankee Care Givers to provide cannabis products to medical marijuana patients, but state officials shut that business down, saying he could not provide the products to more than one patient under medical marijuana laws approved in 2012. Downing, a member of the board of directors for the Massachusetts Cannabis Reform Coalition, has also helped organize the annual marijuana rally on the Boston Common, and he is the treasurer for Bay State Repeal, one of the groups that pushed to put a marijuana legalization measure on the 2016 ballot. In December 2014, Downing opened CDB Please to sell non-psychoactive cannabis-based products for medical use. He said in press releases and in published news reports at the time that he wanted to provide as much support for medical marijuana use that is allowed under state law. Kenneth Conley, a Boston police detective, testified during the hearing Tuesday that his superiors wanted him to investigate Downing after reading about the business in the Boston Globe in December 2014. Conley said he went to the store in an undercover role, and inquired about CDB oil. Conley said he paid $40 for the gram of oil. On other occasions, undercover police officers paid $30, or $25. Conley said a state chemist detected THC when testing the oil. Authorities later seized hundreds of grams of oil and other products, such as hemp shampoo and conditioner, during a raid of Downing’s business and home. Lawyers for Downing argued that the THC levels in the products are so minimal that the products are exempt from the state law that criminalizes products containing more than 2½ percent THC. One of the lawyers, John Swomley, noted that the chemists had to test nearly the entire gram of liquid oil each time to detect any THC. 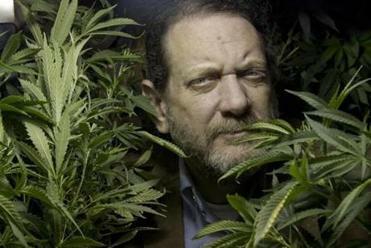 Another lawyer, Stephen Epstein, said the CDB Downing sold came from Colorado, and it would not be classified as a controlled substance under US law. Borelli invited the lawyers to submit further legal arguments in writing, and said he could issue a decision next week. Milton J. Valencia can be reached at [email protected]. Follow him on Twitter @miltonvalencia.